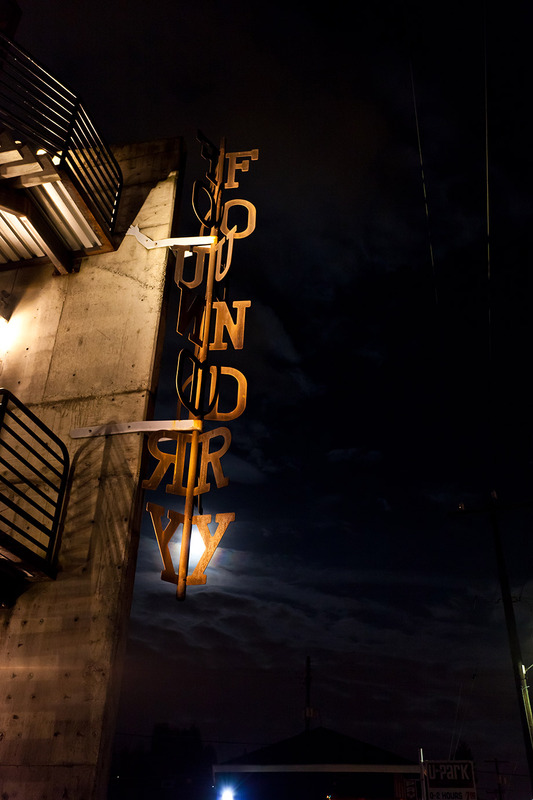 The building which now houses Fremont Foundry Events was opened in 1981 as a hub for Fremont's eclectic artist community and played a special part in Seattle's art focused counterculture. Some of Seattle's most famous (and infamous) statues were brought to life here. This is where the Jimi Hendrix statue was created by Daryl Smith in 1997 before being moved to Capitol Hill, and Fremont's continually controversial Vladimir Lenin statue, brought from Slovakia in 1989, was actually reconstructed. The building morphed with the times and people who lived, worked and created public, private and communal art within the artist colony that spanned over three decades. Add to the history with your event. I loved working with Fremont Foundry! We had our wedding here and it was absolutely one of the best decisions we made. 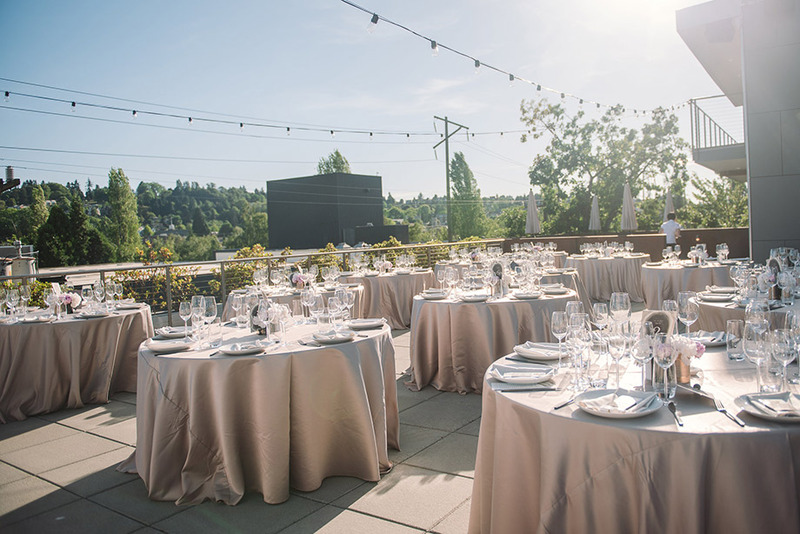 The location is phenomenal, the space was perfect for our needs and allowed us to have several different areas during the wedding - an outdoor cocktail reception, a beautiful ceremony space, a great location for dinner and dancing, and a perfect spot for a sparkler grand exit. So incredible! I think what was even better than the space itself was the people we worked with. Dani and Holly were AWESOME and helped us to plan and coordinate the entire day. These two are special people working with folks on one of the most amazing but also most stress-inducing days. I loved them, their kindness and patience, and their great ideas. 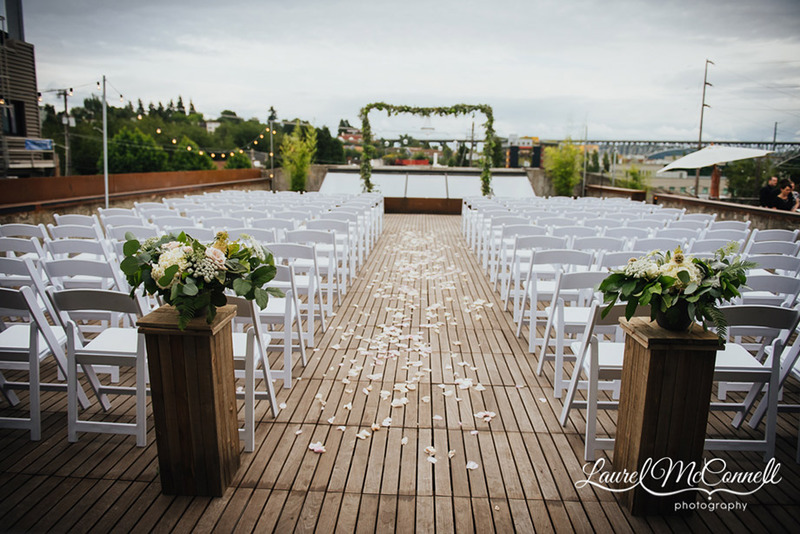 Hands down, a great group to work with and one of the most beautiful venues in the Seattle area! Thank you for being such a critical part of making our day so great!!! Wow, did we hit the jackpot with Fremont Foundry. 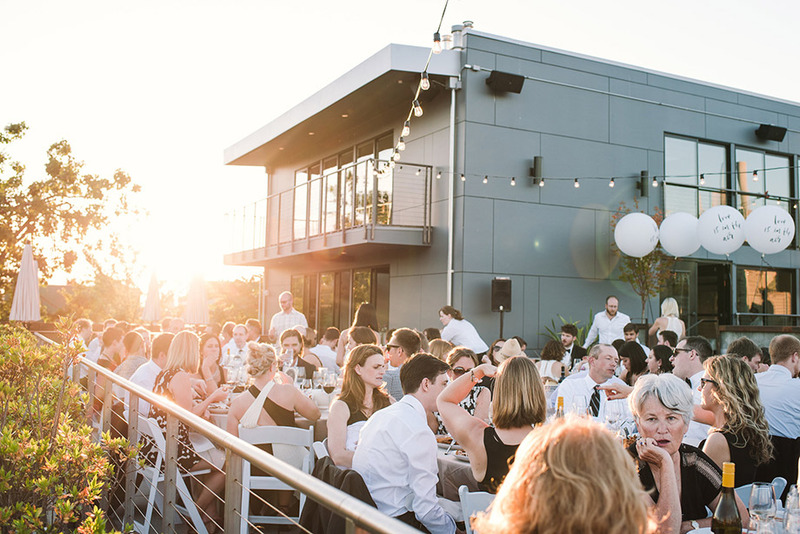 With a wedding in October, we knew that weather could be an issue, so we were looking for a place that could be entirely indoors, but could fit our crowd of 115 easily without feeling crammed. The Foundry was the perfect spot for us. 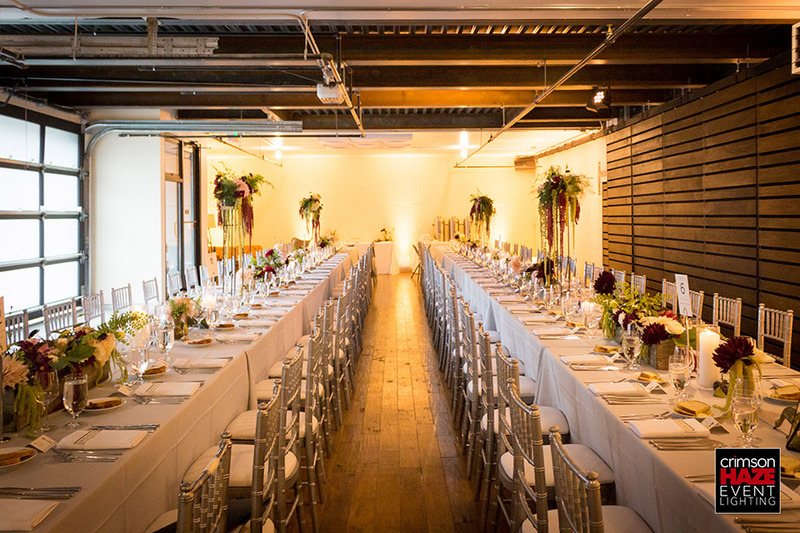 The rooms transitioned well from each section of the wedding, and the space is simple, yet so unique in its own way. It didn't take much to decorate it because it was already such a cool space! But the best thing about the Foundry was the staff. We worked really closely with Jess and we are so grateful for her help, patience, and support throughout our year of planning. She was always responsive, and worked with us to ensure things remained within our budget while still having the perfect day. We can't recommend the Fremont Foundry enough. 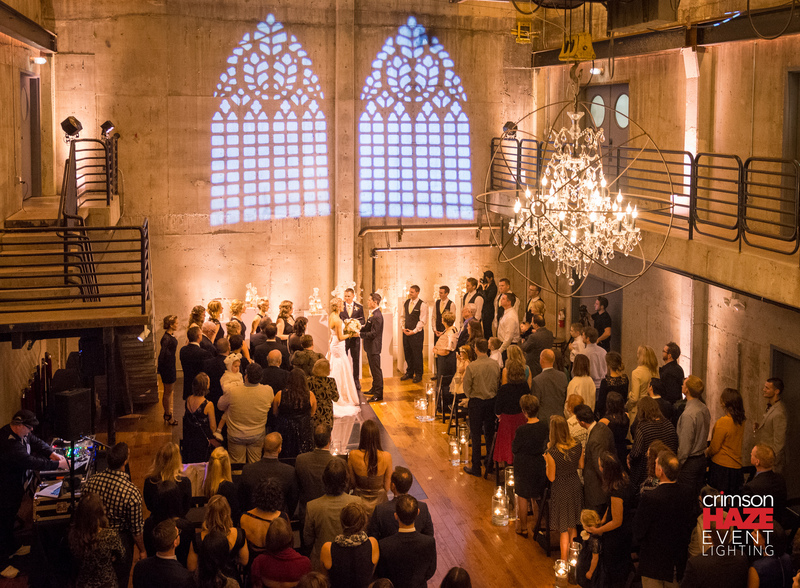 It is beautiful, unique, and the perfect wedding venue from start to finish. This space is absolutely incredible. 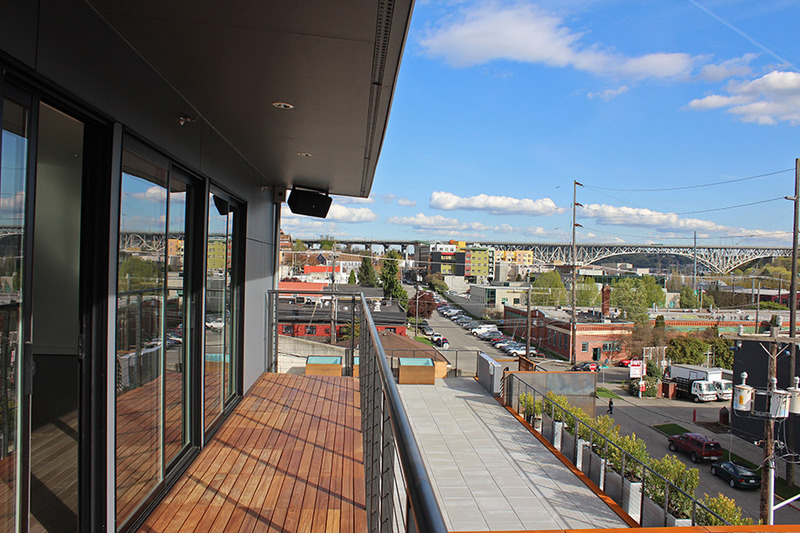 As an event planner in Seattle, it's one of the most memorable tours of a space I've seen in 5+ years. 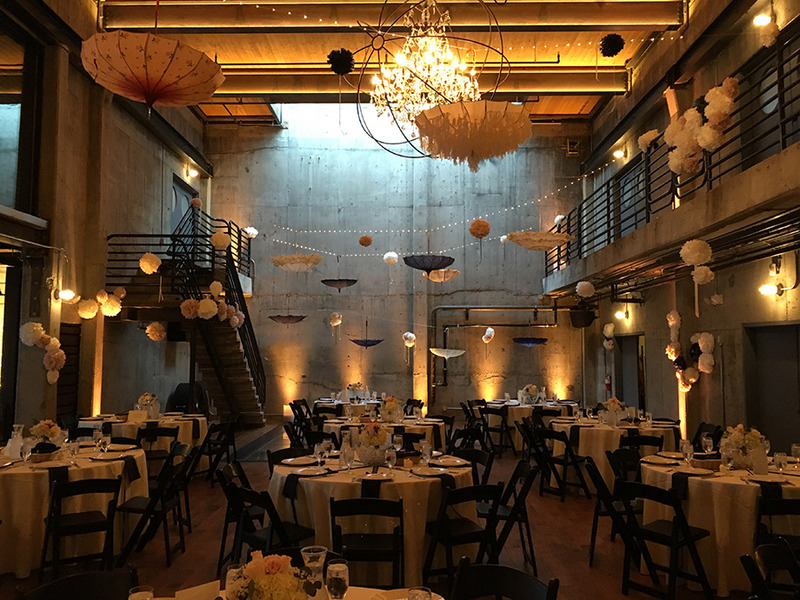 I could easily see one or all of the spaces being used for corporate events, industry events, art parties, and of course weddings. You could just about do anything here! 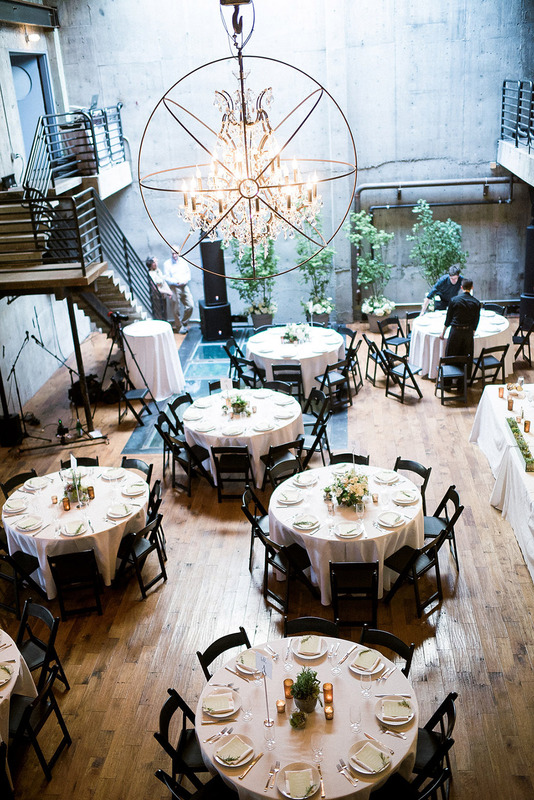 Depending on the layout and the spaces used, you could host 10 people or nearly 800. 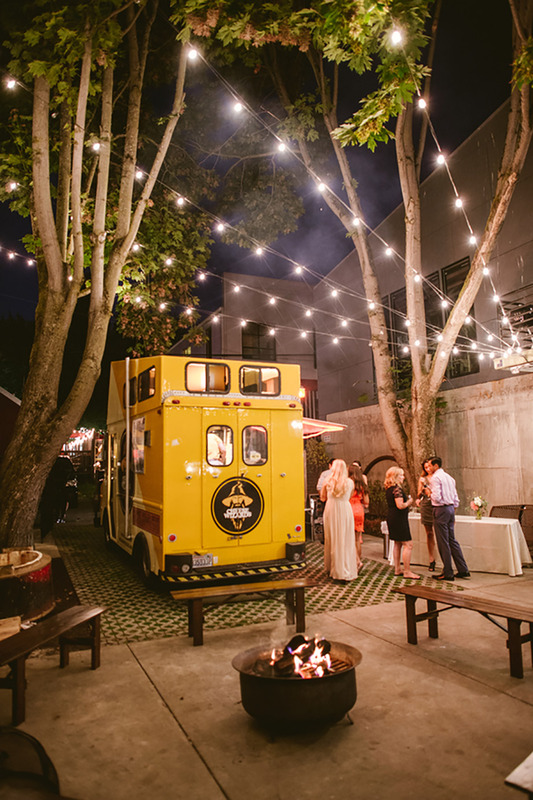 They have an actual cook-in kitchen, a bar/service area, and moveable walls to create and customize the event. There's a built-in sound system that works in all or some rooms, depending on the need, and there are gorgeous industrial touches everywhere. Lots of wood, concrete and metal. Outside there's a patio with lights that zig zag across the yard, space for food trucks or carts, and more. You could really do anything here. It seems to me that whoever decided to open this space as an event rental space has a ton of experience. I left the meeting with a pamphlet that clearly outlined prices per space, package deals, weekend versus weekday pricing, and more. One of the best features here? 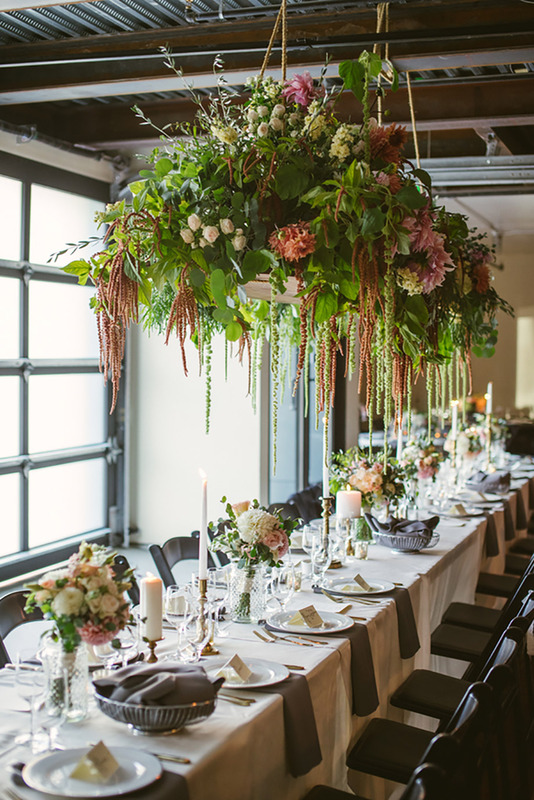 6 weeks before your scheduled event they calendar in a time to sit back down with you and go over final details. Way to put you at ease! They also offer you access to software that allows you to drag/drop things into the blueprint of the space to better understand your own layout. Tables, tents, chairs, etc. It's amazing! I couldn't have asked for a better tour and am now absolutely dying to get into this space for a party. I also sorta wanna get married here... Which is crazy because I have had my heart set on another space for years. Holy headspin!